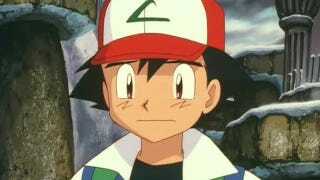 If you've ever seen the Pocket Monsters anime series, you'll wonder where the heck Ash's father is. His mom, Delia Ketchum, pops up in the series. But dear old Dad? He's nowhere to be seen. Ash not having a father—and that father never really being addressed—does give the anime subtext that provides endless conjuncture. Please, Buy These Beautiful Pokémon Comics, OK? This jives with what the original director of the Pokémon anime, Masamitsu Hidaka, said back in 2008. Hidaka also told website Pokebeach that at Ash's grandfather was also a great Pokémon Trainer, which is why his father became one, too.